What's your single photo go-to page design? Debbie asked all of the Single & Pretty designers to make a page based on our favourite page design. Can you guess what my go-to design is? Sign up at Get It Scrapped today and you'll learn tonnes of great design tips, plus classes and other resources. 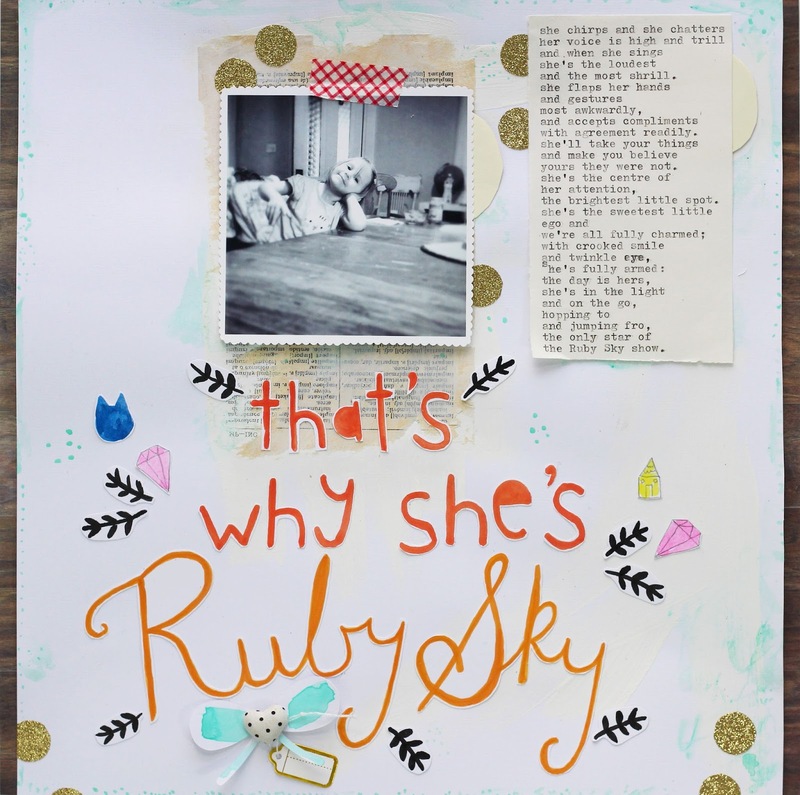 On this Single & Pretty page, "that's why she's Ruby Sky", I combine all of my favourite things into one pretty page!